We’ve all been to the cookie cutter weddings, seen the same tired old DJ and rolled our eyes at the chicken dance, so is it any wonder that our number one bridal request is to deliver a “non traditional wedding”? Virtually every bride we speak to use the words “Non traditional” or “Unique” or “Different/Interesting/Fun”. And what is a dueling pianos wedding if not unique and non traditional? When putting together a wedding, the sky is the limit! We’ve played events along side artists, acrobats, and even alphorns. One way to establish a unique, non traditional approach is to consider some unique entertainment. Spruce things up with a roaming magician, rent some casino tables, or build from your overall theme. I’m sure 99% of brides would never hire a mime, but if you have a french theme, this would make your wedding unique and memorable. Mix and match entertainment to suit your non traditional wedding dreams! Ok, so you don’t want to shell out the cash for fire breathers. The main reason so many weddings are similar is due to budget. Some people would rather have more flowers, passed hors d’oeuvres or that limo ride instead of memorable entertainment. This has made the wedding DJ become the norm. To each their own, but I personally don’t remember a single hors d’oeuvres from my own personal wedding. I do remember being on the dance floor and having the best night of my life. I’d always recommend prioritizing the budget based on where the memories are made as opposed to the smaller details. You’re reading this blog on a dueling pianos website, so of course, we’re going to recommend dueling pianos! What’s more unique than a show that’s different every performance? Or a show that thrives on audience participation? 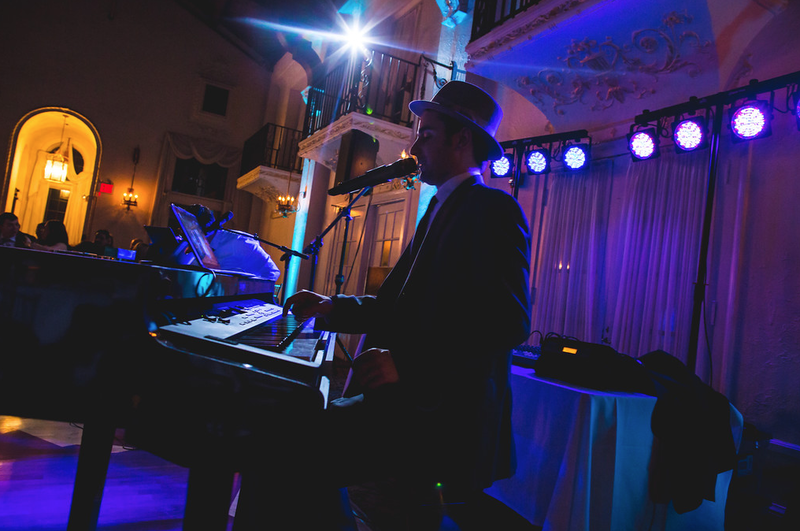 It’s the number one reason why we play around 100 weddings per year, dueling pianos is a unique, non traditional wedding option. There’s dueling pianos, and then there is F&F. 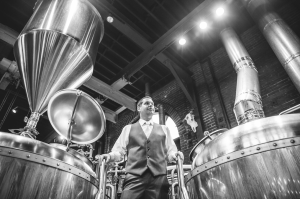 No other dueling pianos company in the world has more awards from either The Knot or WeddingWire, and if you want to know the secret, it’s in the fact that we listen to our brides. Really listen. 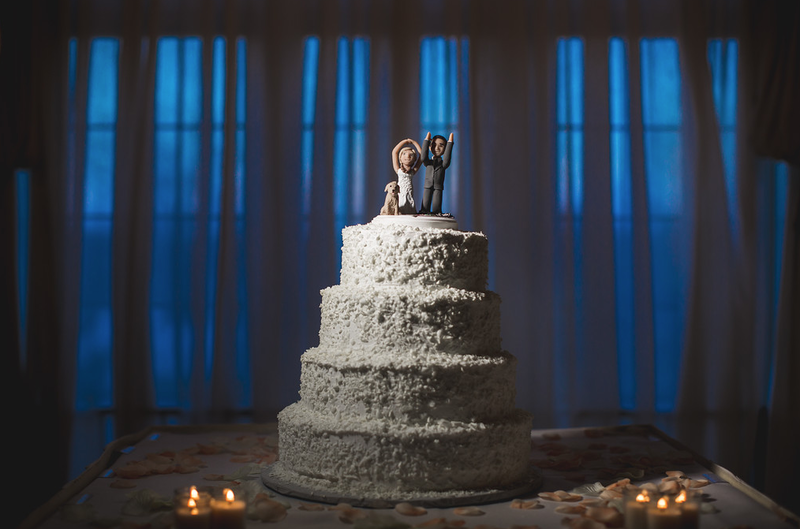 Have fun with your wedding Cake! When you get a vendor who is flexible and not trying to fit you into a mold, you can achieve “unique” on a ordinary budget. Get creative with your day and creative with a non traditional wedding vendor. If they embrace your ideas, run with it and make your wedding unforgettable! We have a mission at F&F: To Obsessively Create Positive Lasting Memories. We want to do that for you. Special thanks to Nick Edmundson for the pictures! Check out his site! Or, if you’re looking for a non traditional wedding quote, contact us here!